Please welcome Randy Susan Meyers to the Ball this week! I met the brilliant — and lovely! — Randy Sue Meyers at a conference a few years ago, where she was sharing her wise words and marketing experience with a roomful of authors who fretted over marketing. I also picked up the fabulous marketing how-to guide she co-wrote with MJ Rose, What to Do Before Your Book Launch — and definitely recommend it to debut authors! 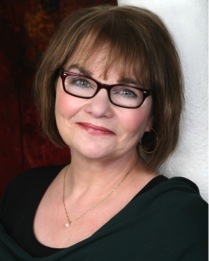 Randy Susan stopped by — and borrowed a tiara — to take the Deb Interview, chatting about the childhood read that inspired her, her uber-twisty publishing path, and a little idea she has called “shots of joy.” Read on for more! Some books etch themselves on your soul. I don’t remember how old I was when I first read A Tree Grows in Brooklyn. Perhaps eleven? (Francie’s age when the book begins.) How many times did I read it after that? Ten? Twenty? Enough so that every scene, every character indelibly marked me. I never visited a church or synagogue when I grew up Jewish in Brooklyn, but like Francie Nolan, I worshipped at the altar of the library. From Francie, the protagonist in coming-of-age novel, I learned that I wasn’t the only frightened, confused, and unhappy little girl in the world. A Tree Grows In Brooklyn by Betty Smith was the only bible I ever owned, my personal talisman of hopefulness — perhaps because similar to bookish Francie (though in different times; published in 1943, the story opens in 1912.) I grew up confused by my always-working mother and missing my father. He, like Francie’s, ran from life by what we now call self-medicating (and what Francie’s mother and mine, called nothing, because who talked about it in Brooklyn?) And then he, like Francie’s escaped forever by dying as a young man. Like Francie, I’d experienced the horror of old men preying on young girls, the joy of having an aunt I’d worshipped, and suffered in a school I hated. Each time I read Francie’s story I was struck anew by how the author knew so much and dared to write it. That’s the beauty of books. They don’t just transport, they heal, teach, and soothe. On the loneliest of days, they ask no more than being opened. They promise you’re not alone and provide you with the hope of a way out. The best ones don’t guarantee the happiest ending in the world (for who has that?) but show that you have the possibility of enduring (and maybe even thriving) and becoming strong at the broken places. Perhaps all insatiable readers become imprinted by a one special book at a vulnerable age, providing that reader with characters who forever become family of the heart. Because of brave Francie Nolan, I believed I could and would survive. She gave me faith in the future. Bless you, Betty Smith. You are forever my favorite author. I love to find one special thing about everyone I meet—whether that be a stunning smile, an outstanding tie, or a haircut that rises up the hair crowd—and then I get huge pleasure from telling them about it whenever I can. There’s something wonderful about bringing a shot of joy. Twisty? Oh yes. You got some time? My published-too-young book: In my twenties, I co-wrote a nonfiction book (under my former—married—name, Randy Meyers Wolfson) Couples With Children. Co-author Virginia DeLuca and I, in our work with pregnant and post-partum women, saw that suddenly shaky marriages were of more concern than diapers. And we wanted to write. We bought How to Get Happily Published by Judith Applebaum, wrote a proposal and a sample chapter, sent it off and shortly thereafter had a contract. I won’t go into the many mistakes we made after that (the only thing we did right was selling the book) but this ‘easy’ sell offered (extraordinarily) undeserved confidence. Soon after, I got divorced. Now I was a single mother and talking about marriage and children seemed, um… embarrassing to say the least. And fiction was really my love. The nonfiction Couples With Children was left to languish. In between raising kids, badly-chosen men, working in human services by day, and bartending by night, I co-wrote Novels 1 & 2 with Ginny: Two mysteries. Got an agent. We thought we had a series. Didn’t sell books. Moving on, still submerged in bad men and fantasy, still not applying myself to learning the deeper tenets of writing fiction, and skating on sheer want, I wrote Novel 3, which should have been titled: The Book That Helped Me Pretend I Wasn’t Screwing Up, My Life By Mythologizing It. No agent. No sale. No memory if I wrote a query. Probably not, because a friend insisted on sending it to his wife’s cousin-the-writer, who called it… execrable? Deplorable? Tripe? He didn’t soften the slam by deeming it poetic or lyrical. Because it wasn’t. Had a drink or ten. Thank goodness I had that inappropriate guy to lean on! Novel 6: Showed a bit to agent. She loved it. Said keep going! Meanwhile, she kept trotting out #5 to a few editors. No hard feelings, a virtual handshake goodbye, and agent and I said goodbye. Six months later I signed with new (wonderful and current) agent. She read. She edited. I revised. She sold #6 (The Murderer’s Daughters) in 8 days. How long did it take to sell my debut novel from when I began writing fiction? 20+ years. Six novels. Three agents. DebNote: Phew! We’re exhausted just reading that! I’m terrified of driving on the highway. Fine on city streets, fine on meandering roadways, but keep me away from any roads that require exiting and merging. For a mercifully short time, while in college, I worked in a tie-dye factory where I twisted wet sheets and tied them up with giant rubber bands. Readers, what’s the strangest job you’ve ever had? GIVEAWAY! 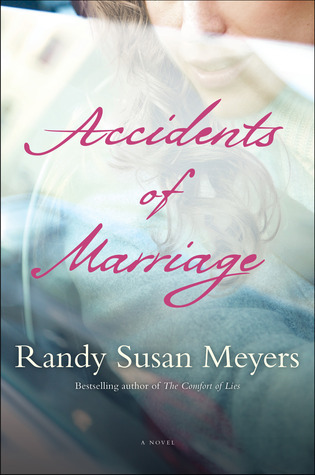 Comment on this post by noon EST on Friday, Sept. 12th, to enter to win a copy of Accidents of Marriage (U.S. only, please) — and Randy will sign and send along a book plate, too! Follow The Debutante Ball on Facebook and Twitter for extra entries—just mention that you did so in your comments. We’ll choose and contact the winner on Friday. Good luck! Randy Susan Meyers‘ novels are informed by her work with families impacted by emotional and family violence. Her debut novel, The Murderer’s Daughters, was named one of the “2011 Ten Best Works of Fiction” by the Massachusetts Center for the Book. Her newest novel, Accidents of Marriage, is called “both unputdownable and unforgettable,” by author Liane Moriarty. The Boston Globe wrote of her second novel, “The Comfort of Lies” “sharp and biting, and sometimes wickedly funny when the author skewers Boston’s class and neighborhood dividing lines, but it has a lot of heart, too.” Meyers teaches writing at Grub Street Writers Center. She is the mother of two grown daughters and lives in Boston with her husband. Is it wrong that I relish when I find others who share in my highway phobia? Great interview! I love Randy’s books and look forward to this one! Ooohh. I love a family drama…especially when it isn’t mine. 🙂 And I loved The Comfort of Lies. I love reading about the twists and turns — we all have them! And while I occasionally wish I was publishing my debut novel at 23, I’m generally glad I have some (many) more years of life experience behind me for this milestone 🙂 Great to “meet” you, Randy, and looking forward to reading! I love Randy Susan Myers novels! Thanks to this novel I learned a couple of things about her I did not know. Thank you for writing this interview! A very interesting and enlightening interview. This novel sounds captivating and intriguing. I have had many difficult,unpleasant jobs which I prefer to forget but were drudgery at the time. Best wishes and great happiness and success. Books soothe my soul, warm my heart and allow me to escape, dream and hope. When I was sick reading was my solace. A Tree Grows in Brooklyn was memorable, meaningful and profound. Libraries provided me with peace for hours on end and this was where I learned about so much, travel,kingdoms, history and art. I still visit libraries since they are invaluable. Great Interview. Can’t wait to read Accidents of Marriage. Thank you for taking the time for this post.